Marine Corps General Joseph Dunford, chairman of the Joint Chiefs of Staff, told the Senate Armed Services Committee on Tuesday that American planners should assume North Korea already has the capability to hit the continental United States with nuclear weapons. “Frankly, I think we should assume today that North Korea has that capability and has a will to use that capability,” Dunford said. In essence, the general said that North Korea is so close to achieving reliable nuclear ICBM technology that it would be prudent to proceed as if such weapons were already in Pyongyang’s arsenal. However, he noted that analysts believe a few vital components of long-range ballistic missile technology have yet to be demonstrably perfected by North Korean engineers, including atmospheric reentry shielding and flight stabilization. “Whether it is three months, or six months, or 18 months, it is soon and we ought to conduct ourselves as though it is just a matter of time, a matter of a very short time, before North Korea has that capability,” he said. Dunford’s testimony also cast doubt on reports this week that North Korea was bringing its forces to a higher level of combat readiness. “While the political space is clearly very charged right now, we haven’t seen a change in the posture of North Korean forces,” he said. The Joint Chiefs chairman assured the Senate that the U.S. military is taking all necessary precautions to protect Americans and allied nations such as South Korea and Japan. He spoke very cautiously about the prospects of launching a preemptive strike against North Korea. Dunford said that it was difficult to obtain reliable intelligence about North Korea’s nuclear missile program, much less target it with a preemptive strike, because “the North Koreans over time have buried much of their capability underground.” He also cited weather as an obstacle for satellite surveillance and reconnaissance planes. Dunford expressed support for “the economic and diplomatic pressure campaign the secretary of state is leading in North Korea.” He said all possible measures were being taken to avoid a “miscalculation” that could escalate into military conflict during this time of high tensions but noted the lack of direct communication with North Korea’s military increases the danger of such incidents occurring. He also complained about Russia’s apparent determination to play a “spoiler role” in undermining U.S. pressure against North Korea. CNN notes this is an adjustment to previous statements in which Gen. Dunford named Russia as the top threat, followed by China and then North Korea. 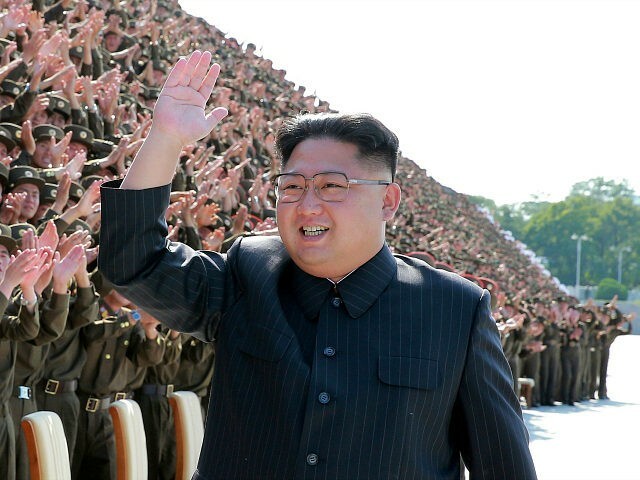 He explained that, in his revised assessment, North Korea is clearly the urgent threat, and Russia currently fields the most troubling combination of conventional and cyber warfare capability plus an aggressive posture in areas like Ukraine, but Chinese demographics and growing economic clout mean they will soon become the top threat. Dunford cited China’s clear interest in “limiting our ability to project power and weakening our alliances in the Pacific” as a reason for concern.” However, he was optimistic that agreements to maintain good communications with the Chinese military would help to keep the peace, even when diplomacy between the U.S. and China becomes tense. Dunford recommended an increase of up to seven percent in the defense budget for the next five years to build up American capabilities to deal with the Chinese, Russian, and North Korean threats.